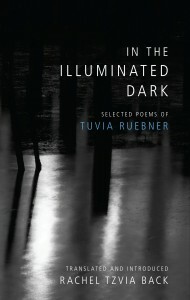 Hebrew Union College Press is proud to announce that In the Illuminated Dark: Selected Poems of Tuvia Ruebner, translated and introduced by Rachel Tzvia Back, joins 11 other titles on the longlist for the 2015 National Translation Award in Poetry. This is the seventeenth year for the NTA, which is administered by the American Literary Translators Association (ALTA), and the first year to award separate prizes in poetry and prose. The NTA is the only national award for translated fiction, poetry, and literary nonfiction that includes a rigorous examination of the source text and its relation to the finished English work. Featuring authors writing in 11 different languages, from 12 countries, this year’s longlists expand the prize’s dedication to literary diversity in English.